Guest Interview: Samantha McLean talks to real estate coach and trainer Lisa B about all things digital marketing, dominating your local area and what some of the biggest questions are being asked by agents. 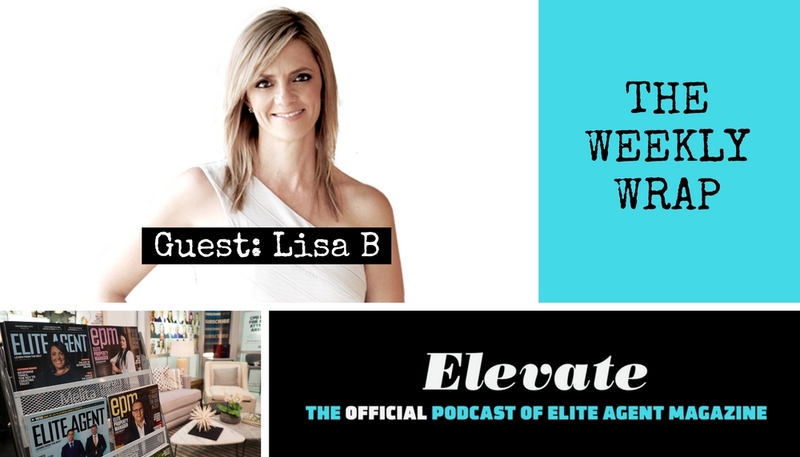 ‘Elevate’ is the official podcast of Elite Agent Magazine for real estate industry sales professionals, property managers, and leaders. Each episode, we will bring you behind the scenes coaching, news analysis, exclusive interviews, technology, and more to help you list more, sell more, and elevate your results. To subscribe on Stitcher, click here. 06:30 What are the common questions being asked by agents? 06:50 Questions about the new real estate award; sign up to forums or ask us here. 07:30 Counteract your competition by assessing where you are and where you want to be. 12:40 The worst advice Lisa has heard agents being told. 27:00 Consider writing your to-do list the night before, as Bob Wolff does. 30:00 Lisa B will be coaching on ‘Beating the Interceptors‘ in Transform 2018 – register now!